AT+CGPSHOT command is used to hot start GPS. Keywords AT+CGPSHOT syntax, examples, parameters, error, input, response. //Use this script to AT+CGPSHOT AT commands with Simcom modules. 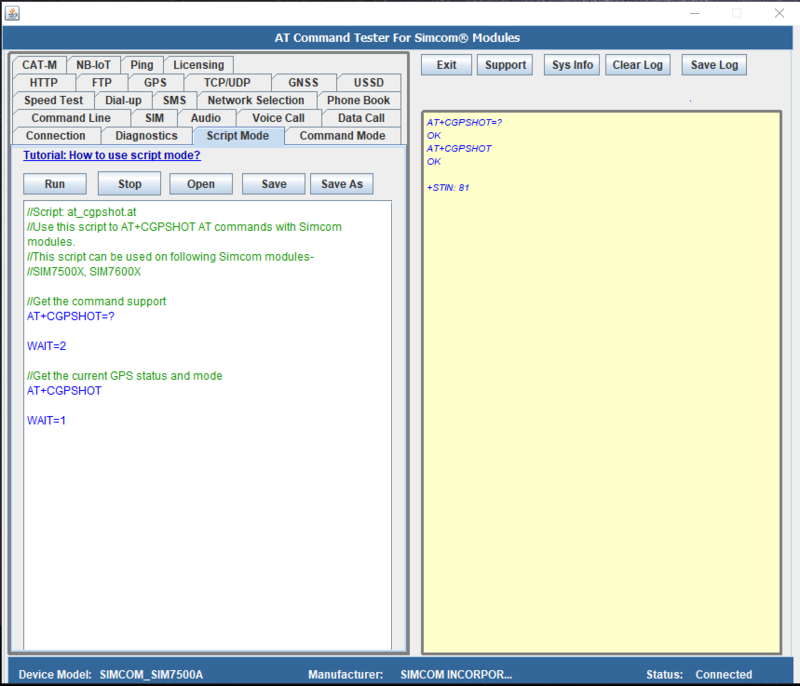 Output of the above script in the AT Command Tester tool tool.